The owner of this alpine white F12 650 or 640 coupe was from Diamond Bar and came over to me in Anaheim Hills/Orange County to have me do the car wrap on his car. 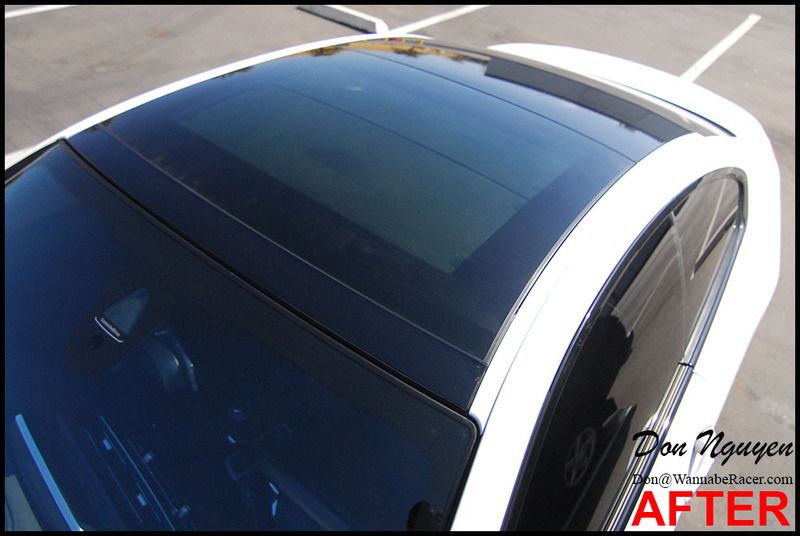 We went with my gloss black vinyl material for the roof of his car, to complete the glass panoramic look for the car. 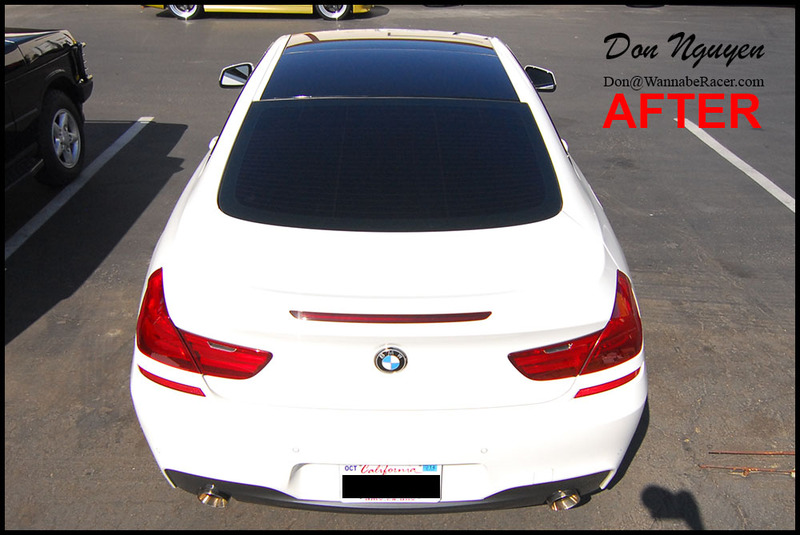 The owner decided to leave the roof rails white and did not have me vinyl wrap them along with the rest of the roof for this car wrap.